Sadly we lost the comedic genius of Gene Wilder. 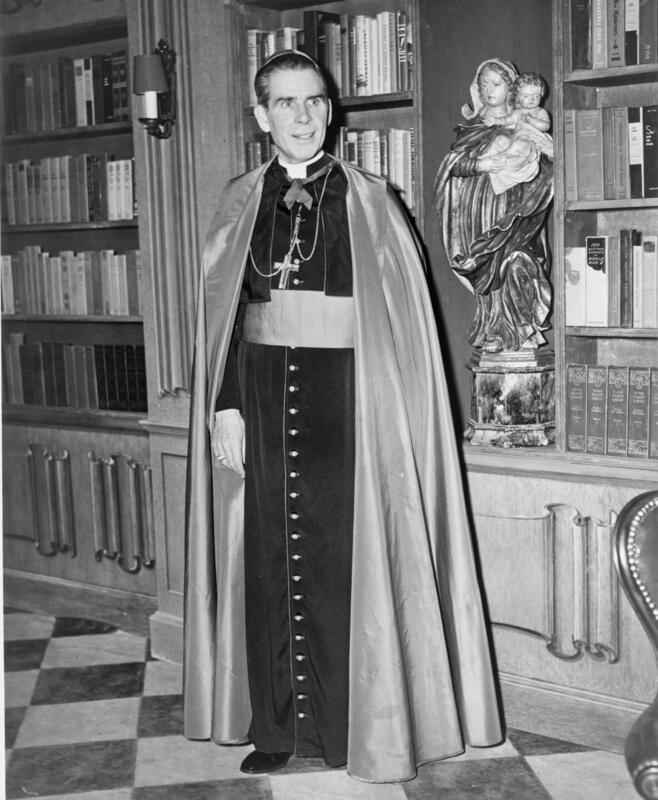 To be sure often his humor was a bit on the naughty side, but there was always a glimmer in his eye like a child daring mommy and daddy to yell at him. In that, he was still often able to convey a strange innocence that drew you to him. In honor of his passing, here are his top 7 performances. Note these are not necessarily his best movies, but the best performances he had in movies. Here we see Gene Wilder do something that is actually very difficult to do. 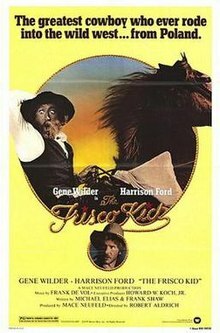 The Waco Kid is a character of immense sadness. And Wilder plays that sadness with actual believability and reality. And at the same time, he makes his misery hysterical while never losing his pathos. Here we see Wilder in classic form, turning fear, anxiety, and terror into comedy gold. The movie was a box office bomb, but I always found Wilder to be a delight. I particularly remember the wonderful bit of physical comedy when he is caught in the basement with an unconscious body. Wilder and Pryor were a great comedy duo. Watching them together was fantastic. And watching Wilder break down in prison and then feigning insanity is a delight. And it works so well because he convinces you of his sincerity. I especially love when they open up the hot box and he begs for more time inside. 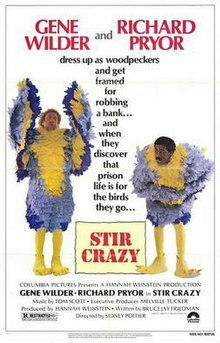 Wilder and Pryor would go on to make one more movie that would not be very good. So I like to remember them for this film. Wilder plays more the straight man to Pryor here, but his portrayal of a man embarrassed by his own handicap is at turns sad, upsetting, and funny. The scene where they are trying to take his mug shot still cracks me up. 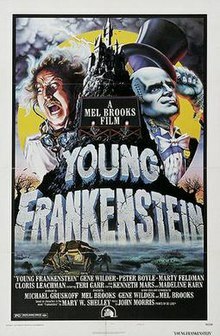 While there is a lot of insanity going on around him, Wilder's Fredrick Frankenstein tries to play the comedy as seriously as possible for the first two acts of the movie and that is why it is comedy gold. He understood one of the great truths about comedy: serious is funny! And there are fewer funnier scenes ever in movies than where Fredrick gets locked in the cell with the monster. I can't say this is a good movie, but I absolutely love Wilder's performance. His Avram is a pious Rabbi with child-like innocence entering the rough and tumble Old West. Watching his transformation by degrees, some for the better and some not, is wonderful. And Wilder, for the most part, plays the character as straight as possible, making all of his wonder and heart-break feel very real. To no one's surprise, I'm sure, this is clearly the best thing Gene Wilder has ever done. 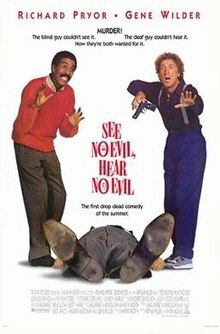 My favorite story about this movie is that Gene Wilder insisted that his first scene, where he limps out and then does the somersault, be included in the movie (it originally was not). He even said he would refuse to do the movie without that scene. 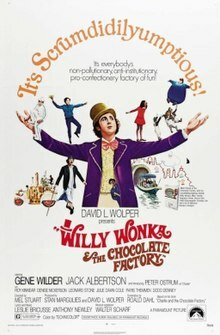 When the director asked him why, he said, "Because from that moment on, you will never know if Willy Wonka is lying or telling the truth." And that is the genius of the performance. Who is Willy Wonka? Is he a genius or an idiot? Is he a madman or a visionary? Is he a demon or a savior? Looking at his performance, you can see all the contradictions and the airs he puts on until that wonderful moment at the end when he grasps the everlasting gobbstopper and we can see the tangible joy on his face that he can finally put down the mask and be free.